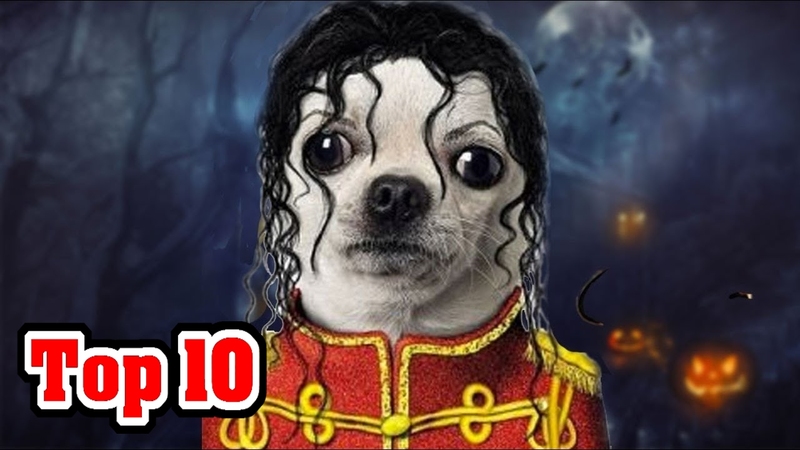 Dressing Up The Pooch This Halloween? Guidelines For Safe Halloween Costumes For Your Furry BFF! Home > Seasonal Design > Holidays > Dressing Up The Pooch This Halloween? Guidelines For Safe Halloween Costumes For Your Furry BFF! Halloween is supposed to be for kids, but many of us really dig Halloween. So many people love getting their pet into the Halloween spirit and dress them in all kinds of costumes. 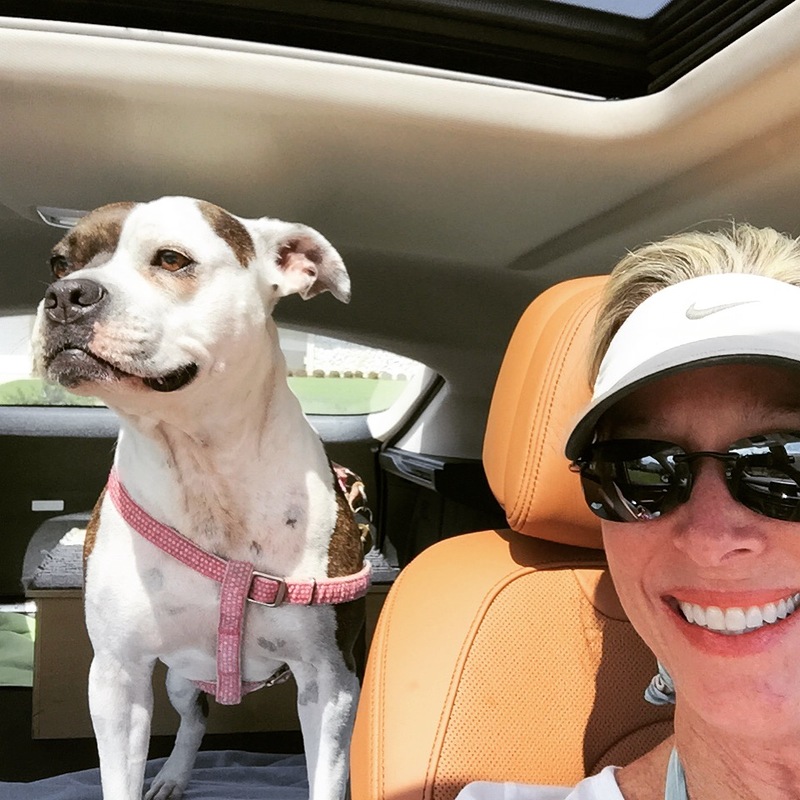 I for one love treating my furry best friend as one of my BFF’s, and that includes anything from girl time to holiday fun! I suggest creating a costume for your bestie, that isn’t to far from your dogs own skin. This bull dog makes a great hulk due to his muscular frame. All that is needed to carry this costume off is some nontoxic face paint and comfortable torn jeans and he’s a hit at any party! An all black dog makes a great skeleton. 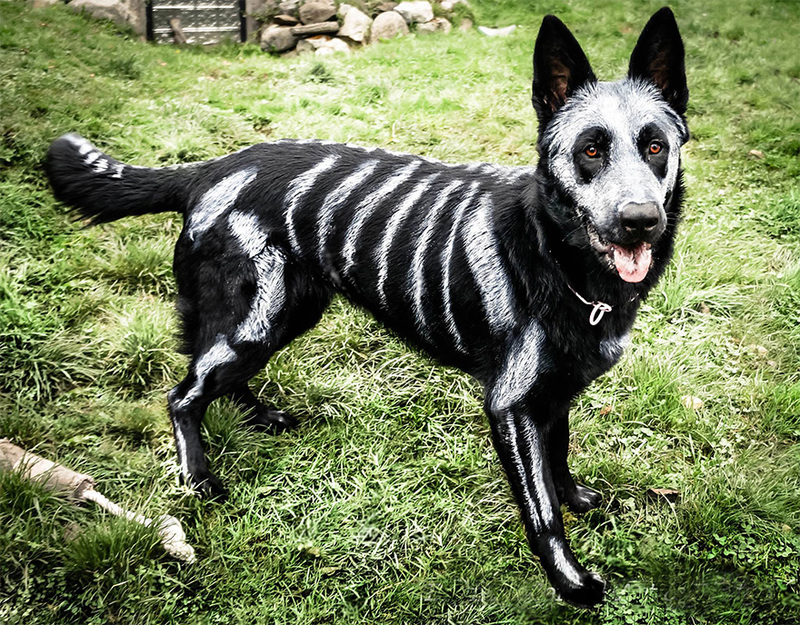 Simply painting on the bones and your furry friend loves the attention without the discomfort of a costume that just doesn’t feel natural to him. Making this Halloween a fun experience for you and your dog is the most important! Poodles have the perfect hair for grooming into almost any animal and with a little paint people will be doing a double take thinking your walking your panda bear or camel. 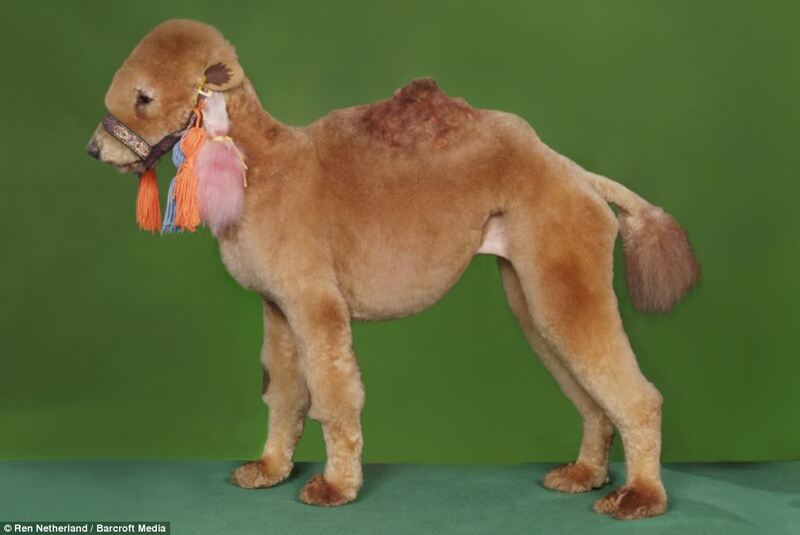 I know you’re thinking you could never groom your dog into a camel, but you can by taking them to the groomer. McGuire, my son’s Maltese, got his Mohawk-do at PetSmart and it didn’t break the bank. They use safe chalk based paint offered in several colors which won’t rub off on your furniture. McGuire loved the attention he got when we got home. Everyone made such a fuss over him, so it was a great experience and he loved it! The bottom line is that you want to make sure your dog’s costume isn’t about entertaining everyone else at your dog’s expense. Putting on elaborate costumes can be uncomfortable and in some cases dangerous to their health. For example, they can overheat easily by some of the store bought costumes or chew off and potentially choke or cause an obstruction with small costume accessories. Also, some dogs seem to be embarrassed by the whole experience; you need to think about that before you parade them around strapped with a hot dog bun costume. No hair dyes – Your pooch’s skin pH level is not the same as yours, so human hair dyes are a big NO NO! No Artificial Food Coloring – I wouldn’t use artificial food coloring on myself and I certainly wouldn’t use it on my dog. Some colors have carcinogenic properties, which is why you should also avoid dog food with artificial coloring. Safe Food Coloring – One safe food coloring that I would recommend and use in my food is India Tree. There are no synthetic dyes used in this product, it is created only with vegetable colorants. Look For Dog Safe Hair Dyes – If you are a DIY-er then I would think this might be the best and easiest method. One such product is by Top Performance, offering 15 shades to choose from and the cost is approximately $18.99 for a 4 oz. jar. You will want to test any product you choose first on a small area of your dogs skin to make sure they do not have a bad reaction. Here is a FUN video on how to safely dye your dogs hair. Halloween spooky dog treats from sheknows.com. Preheat oven to 350 degrees F. Line a cookie sheet with foil and spray with nonstick cooking spray. In a large bowl, mix together the flour, eggs, canned pumpkin, peanut butter, pumpkin pie spice and salt. Mix until fully combined. Lightly flour a hard surface. Place dough on the surface and roll out using a rolling pin to about 1/2 inch thickness. Using Halloween cookie cutters, stamp out shapes. Place cookies on the prepared baking sheet. Bake for 25 to 30 minutes or until golden brown. Let cool. Decorate with icing and natural food coloring.